Need a 'Service Light On' Inspection? How Much Does a 'Service Light On' Inspection Cost? Most modern vehicles these days are fitted with engine oil monitoring systems that let you know when your car needs to have its oil changed. When the oil has degraded past a certain point, a warning light will appear on your dashboard to let you know you are due for a service. How does the Service Light Work? In the engine sump/oil pan, there is a sensor that monitors the oil level and also the quality of the engine oil, and this sends a signal to the Engine Control Unit (ECU) When it reaches a certain mileage or degradation, the ECU will switch the Service Light on the dashboard, to indicate to the driver that a service is required. However, this is not the only reason this light may come on. If the ECU detects an issue with the engine or internal components inside the engine, it may switch on the Service Light to indicate the problem. Vehicle due for service: If your vehicle has reached a certain mileage interval, or the ECU has detected that the oil quality has reached a certain degradation, the service light will illuminate to let you know that it’s time to have a service completed. Emissions related issue: If the ECU detects an issue with the emissions systems, it may illuminate the Service Light instead of the Check Engine Light to alert the driver of the problem. Excessive engine temperature: Modern engines have sensors to monitor the temperature of the engine cooling system, and if an excessive temperature reading is noticed, the ECU will turn the Service Light on, and possibly display an ‘Engine Overheating’ warning in the instrument cluster. What’s Involved in a Service Light is on Inspection? 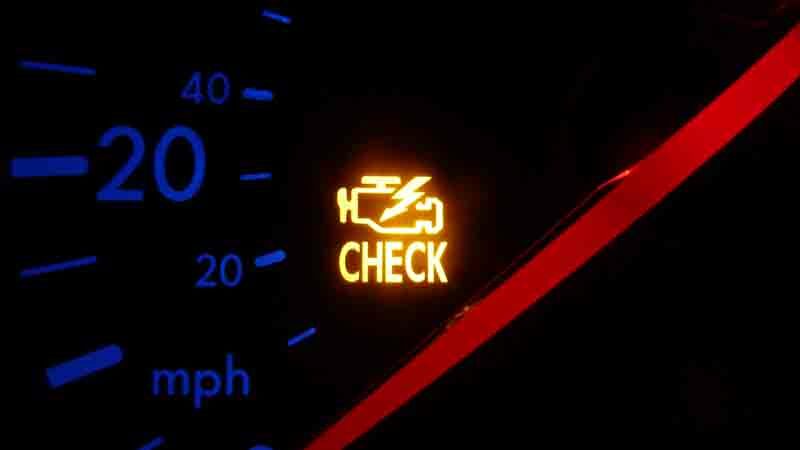 The mechanic will carry out a full diagnostic check of the vehicle, including the computer system, to determine why the Service Light is on, and provide a report and a quote to carry out repairs, if required. The Service Light comes on to warn the driver of an impending service, or possibly a more severe issue. Therefore, it is imperative to have your vehicle inspected as soon as the light comes on, to prevent any further damage from occurring.